Thrive Instant White Rice is perfect for soups, stir-fry, and side dishes. You can also make excellent Asian or Hawaiian entrees by using Thrive Instant White Rice as a base. Thrive Instant White Rice comes together in minutes and it is a great option for individuals with a gluten intolerance. 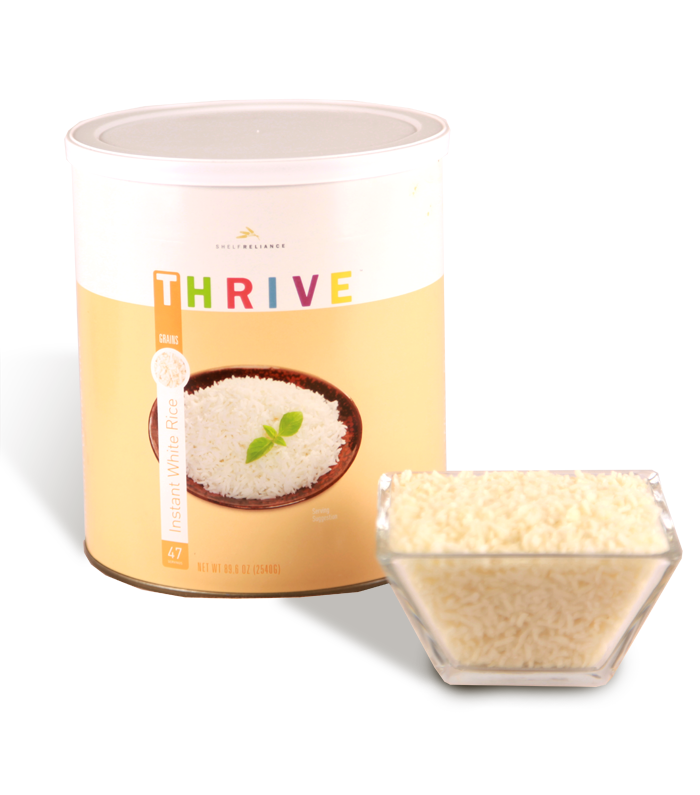 The nutrients in Thrive Instant White Rice will help your family maintain a healthy and active lifestyle. Add 1 cup rice to 1 cup boiling water with 1/ tsp. salt. Cook covered on low heat for 3-5 minutes.